In this article, we will discuss about some interesting facts about the Grey Wolf. The Grey Wolf (Canis lupus) has several names such as the Timber Wolf, the Gray Wolf or simply called Wolf. Based on the recent study, this carnivore animal was described as the ancestor of the domestic dog. Below are the following facts about the Grey Wolf. The lengths of adult wolves are usually 1.4 to 1.8 meters and the weight may vary from 23 to 50 kilograms. The measurements are depending on the subspecies. Usually, Wolves living in the far north tend to be larger than those living further south. “Packs” is the name refers to groups of wolves. 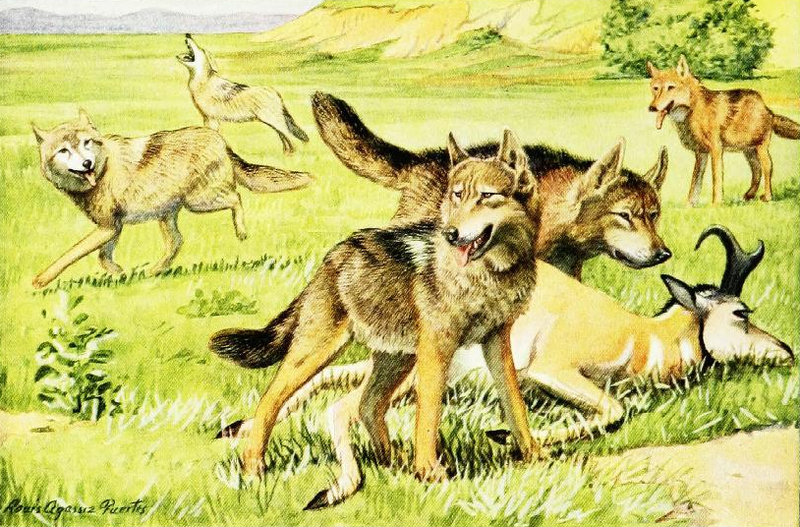 The Packs are generally consisting up to 12 wolves. In some cases, it can consist two or 25 wolves. It is commonly formed from family members, often just the parents and offspring. If there is any wolf that does not have family, it may join to other packs. Wolves have two layers in their fur. The top layer has function as a resistant from dirt while the under layer has function as water resistant. Their fur has various color made from any combination of grey, white, red, brown, and black. In 2007, the researcher found 23 red gray wolves. This carnivore animal usually eats medium to large size hoofed animals. Sometimes, they will also eat rodents, insectivores, foxes, salmon, seals, beached whales, lizards, snakes and birds. The habitats of wolves are various areas such as forests, deserts, mountains, tundra, grasslands and sometimes around towns and cities. Wolves can be found Europe, Asia and North America. In the past, there had been no wolves for a long time because of hunting and poisoned water. People killed those wolves because they were afraid that the wolves would eat the sheep and cows near the park. Today, in Canada and Alaska, many people have huskies, a close relative of the wolf, for pets. Wolves in Britain were all killed after centuries of hunting. The hunting and killing activities endangered the number of the wolf. The last wolves survived in the Scottish Highlands. There is a legend that the last one was killed there in 1743 by a character called MacQueen. Wolves can be found in many folktales such as the Little Red Riding Hood. It is a story about a young girl and a tricky wolf.